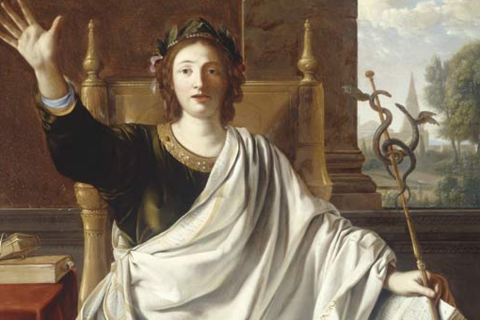 Rhetoric is the liberal art which is most clearly connected to political and social developments. 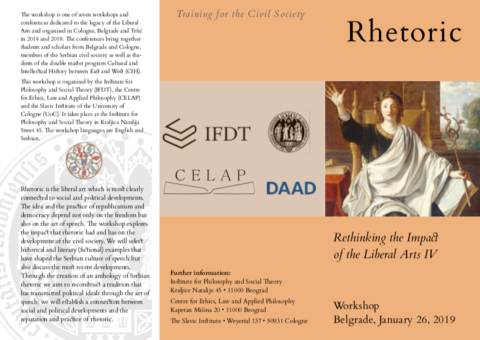 The workshop is organised by the Belgrade Institute for Philo-sophy and Social Theory (IFDT) which has been the academic home of Zoran Đindžić and Vojislav Koštunica, and the CCCEE | Cologne-Bonn Centre for Central and Eastern Europe, which brings together historians, sociologists and philologists. The idea of the workshop is based on the long cooperation between Some of the student participants from Cologne have participated from the discussion during the lecture series “Rhetorics between East and West”. On the workshop students from Belgrade and Cologne will present their own analyses of historical speeches that have shaped the Serbian society and / or German-Serbian contacts. 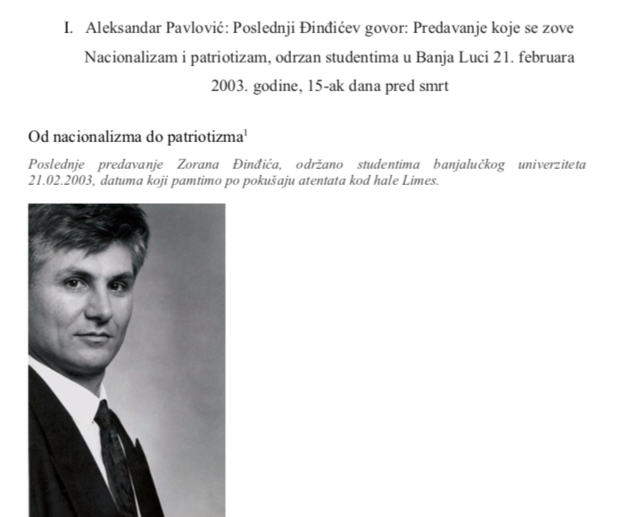 The participants will study famous examples of Serbian political and legal speeches and discuss the particularities of South Eastern European political rhetorics.